Face acids are amazing! 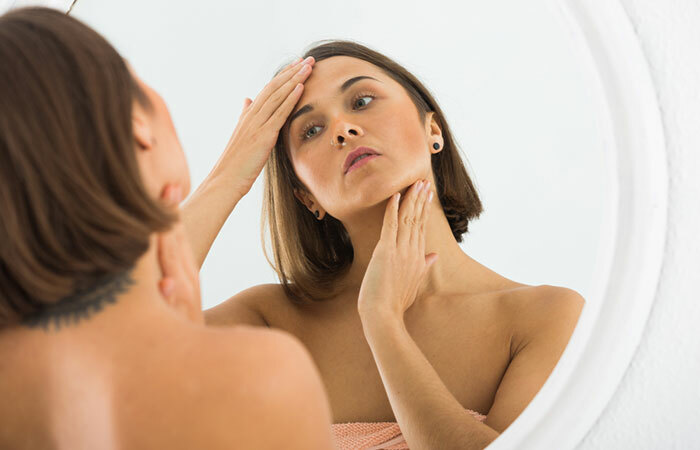 Fine lines, acne, hyperpigmentation, dry skin – name the issue, and you have a specific acid to deal with it. 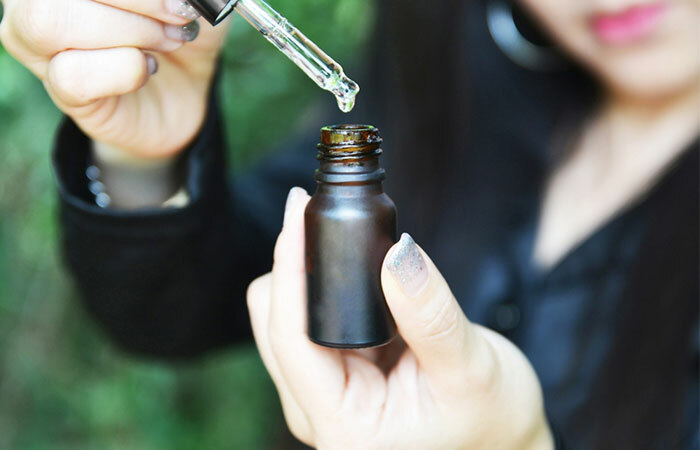 In this article, we are going to talk about an ingredient that is going to be the next big thing in your anti-aging skin care regimen – ferulic acid. 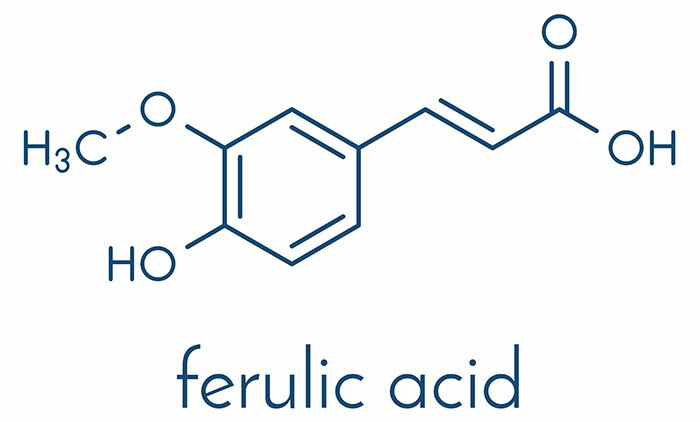 Ferulic acid is excellent for your skin (even sensitive skin) unless you are allergic to it. 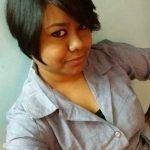 Here are a few reasons that will convince you to use it right away! Read on. Ferulic Acid For Skin: What Are The Benefits? Are there Any Side Effects Of Ferulic Acid? Ferulic acid is a plant-based antioxidant and is found in plant tissues (1). It is found in the seeds of apples, citrus fruits (oranges and grapes), rhubarb, and other vegetables and foods such as rice, rye, eggplant, barley, and oats. This ingredient has become very common in a lot of skin care products. It has garnered a lot of interest mainly due to its antimicrobial, antioxidant, and anti-inflammatory properties. It is also said to have an anticancer and antidiabetic effect (2). Ferulic acid became popular due to its free-radical scavenging effects. Free radicals accelerate the aging process of your skin and are one of the main culprits that make your skin age fast. Ferulic acid inhibits the enzymes that boost free radical generation (2). Let’s find out in detail how your skin can benefit from ferulic acid. We know that ferulic acid has antioxidant properties. Ferulic acid functions by inhibiting the formation of Reactive Oxygen Species (ROS). It not only neutralizes free radicals but also prevents further free radical generation by inhibiting the enzyme that is responsible for generating them. Free radicals contribute to skin aging, and by neutralizing them, ferulic acid keeps your skin youthful. The fibroblasts (the cells producing collagen and other fibers) are at higher risk of oxidative stress when exposed to UVA rays. Ferulic acid can significantly reduce oxidative damage and prevent collagen loss. It inhibits DNA damage and reduces the production of reactive oxygen species (ROS), which prevents skin cancer. Along with fibroblasts, it also protects the other important skin components, such as elastin and keratinocytes, preventing UV-induced skin damage and photoaging (2). Ferulic acid can inhibit the enzymes responsible for melanogenesis (production of melanin) that may cause pigmentation and uneven skin tone. That’s the reason it is used mostly in anti-blemish and skin lightening cosmetics (2). The phenolic nucleus of ferulic acid is responsible for its antioxidant properties, which, in turn, impart immense therapeutic benefits to it. But, as we are aware, not every ingredient is made for every skin type, and each comes with its share of side effects. Does ferulic acid have any side effects? Let’s find out. Ferulic acid has low toxicity and is considered safe for most skin types (2). However, you can be allergic to it. This is because the ingredient is derived from plants, and you might be allergic to that particular plant or food. For instance, if the ferulic acid you are using is derived from barley and you are allergic to barley, your skin will start reacting to it immediately. Hence, if you have sensitive skin, it is wise to do a patch test before you start using a product. You need to be a little cautious before using ferulic acid. If you are willing to try out ferulic acid products, here’s a list of best ferulic acid products you can get your hands on. 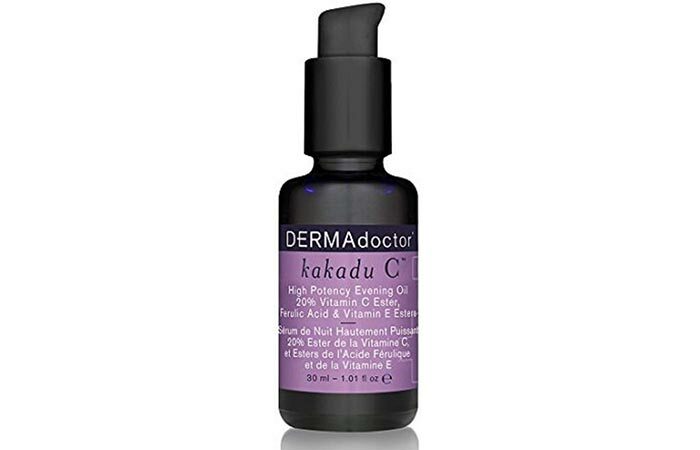 This is a dermatologist-approved high potency vitamin C serum. 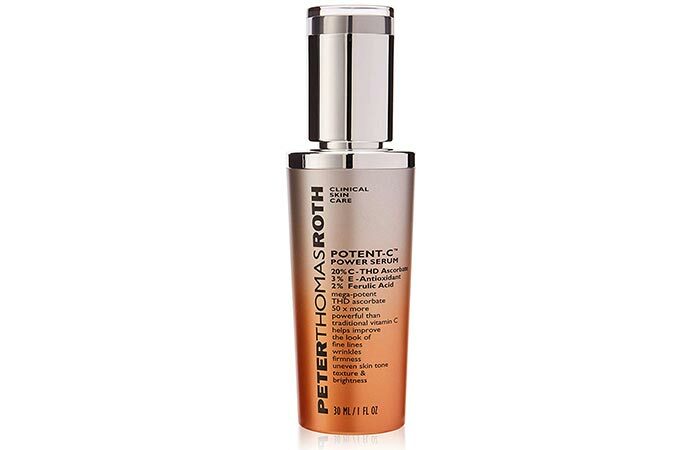 It protects your skin from damage caused by the harmful free radicals. It contains ferulic acid and vitamin E that brighten your skin and keep it youthful. This facial peel gently exfoliates your skin and promotes cell regeneration. It helps reduce the visibility of wrinkles and improves your skin texture. 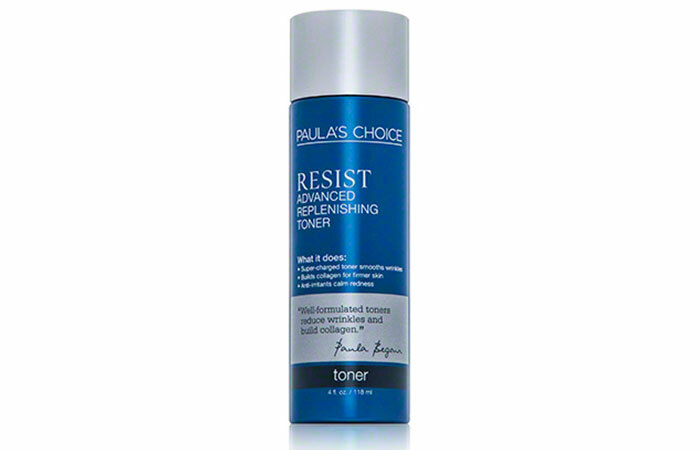 This anti-aging toner calms your skin, smoothens its texture, and rejuvenates it. This is an ultra-soothing toner that keeps your skin healthy without drying it out. 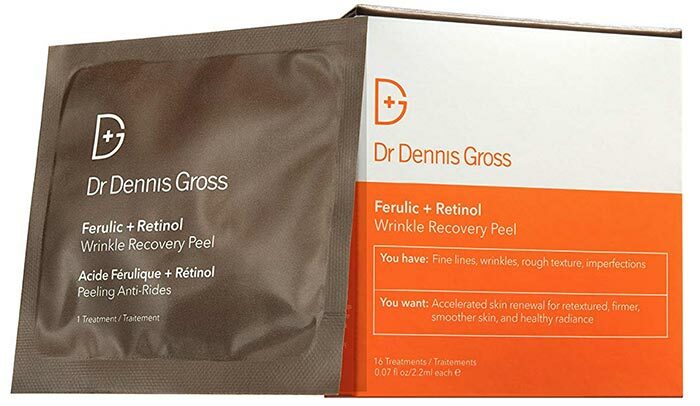 This serum contains 2% ferulic acid. It is lightweight and keeps your skin hydrated apart from improving its texture. It makes your skin firm and reduces fine lines. This is a strong blend of antioxidants that prevent signs of aging around the delicate eye area. It contains ferulic acid and caffeine extracts that keep the skin plump and youthful. If brighter and youthful skin is what you want, ferulic acid is the best ingredient for you. Give it a try and feel the difference. Also, don’t forget to share your experience and queries in the comments section below. “Ferulic Acid Stabilizes a Solution..” Journal of Investigative Dermatology, ScienceDirect. “Antioxidant Properties of Ferulic Acid..” Skin Pharmacology and Physiology, Karger.